Slices Issue 2-2012, released in June 2012, is a winner in every meaning of the word. It won the Questar Award 2012 in the category ‘Best DVD Magazine’ and as the goal of the Questar Awards is to honour outstanding works in the field of video communication, we think it’s more then justified! 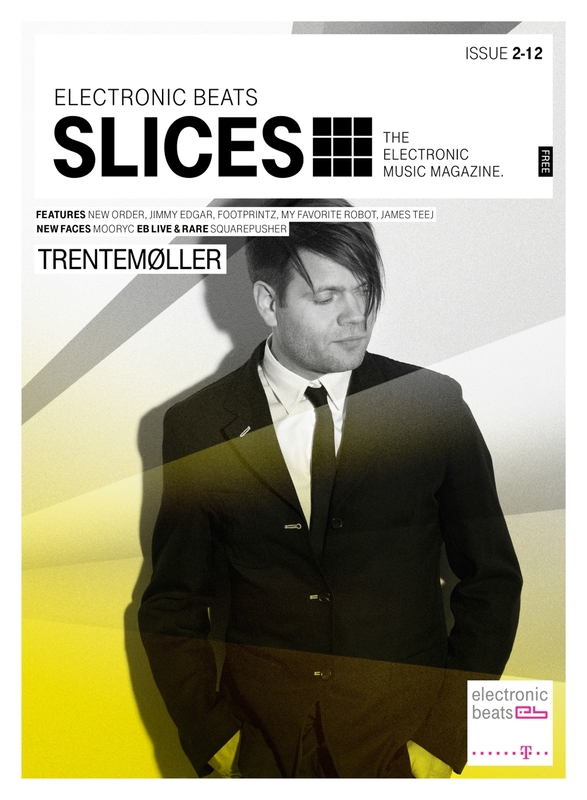 This issue sees the Slices crew travelling around the world to track recent developments in electronic music and to cover the latest producers who are getting us excited. Starting in Toronto and Montreal, Slices met up with My Favorite Robot, James Teej and Footprintz. In Copenhagen, the team got a look at Anders Trentemøller in the studio while over in London they landed interviews with Bernard Sumner, Gillian Gilbert and Stephen Morris of New Order. For the ‘New Faces’ section the destination was Poznań in Poland to meet up with upcoming producer Maurycy ‘Mooryc’ Zimmermann. Back in Berlin there was still time for an indepth portrait of Jimmy Edgar, who just released his album Majenta. Phew. It also features this year’s Electronic Beats Festival in Gdańsk with an exclusive 20 minutes recording of Squarepusher‘s UFABULUM live show. Get your DVD and watch out for future issues on www.eb-slices.net or get a subscription in our shop! If you like to pick up stuff in the physical world, here you can find a list of international outlets to get the Slices DVD and Electronic Beats Magazine.